Present-day staircase architecture is highly advanced, with endless options in terms of style and material. A creative idea and innovative team can bring any unique vision to life. This week, we travel back in time to ancient civilizations to explore the earliest forms of staircase architecture. Although the exact origin of the staircase concept is not known, the earliest signs of stairs have been linked to Egypt and China. 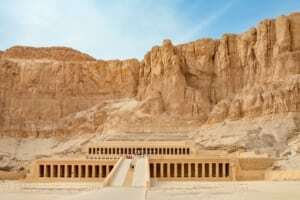 Our first stop on our time traveling tour is ancient Egypt, where staircases were open and massive, and constructed of brick, rock, and mud. This ancient civilization viewed stairs as much more than a pathway; staircases and the early step pyramids held a religious meaning. Egyptians viewed steps as stairways to the sun god. 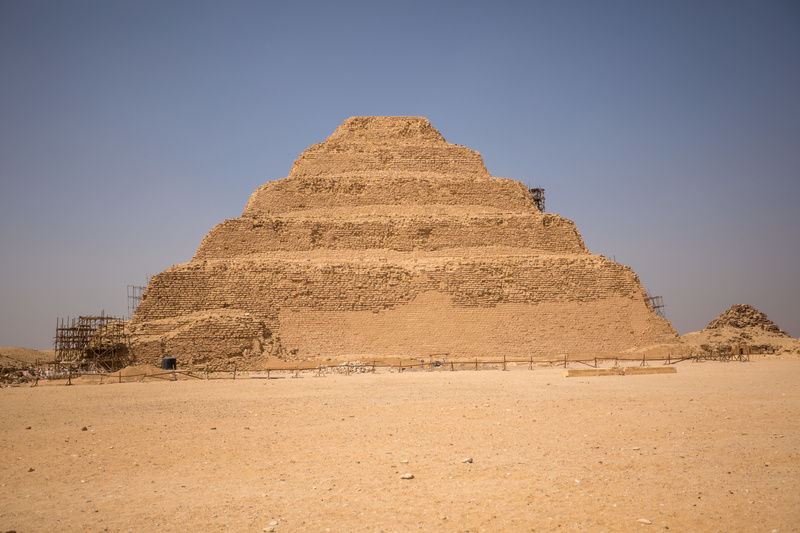 Most Egyptian staircases led to temples and were highly linked to wealth. Stairs were rare in the smaller towns and villages where citizens lived. 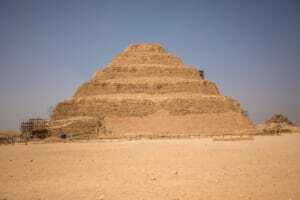 Below, an Egyptian pyramid is one of the most primitive staircases. With large ledges, this oversized series of steps held both practical and spiritual meaning to citizens of the time. Moving east, we explore the early staircases in ancient China. 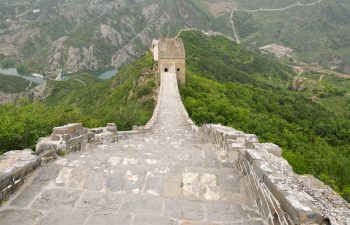 Similarly, Chinese staircases were built from rock, stone, and mud. They also held religious significance. Confucius shared a metaphor which linked climbing a ladder to reaching divinity. This teaching led to the popular view of stairs as religious symbols. Many Chinese staircases led to temples, allowing an easier path than the rough, mountainous terrain. Over the centuries, staircase architecture trends and capabilities have drastically shifted. Design materials have expanded from stone and brick to also include many species of wood, wrought iron, stainless steel, and glass. Following a turnkey approach, we make the custom stair design process easy for our customers. Even the most unique, one-of-a-kind stair follows a proven project management system which ensures flawless execution and on-time delivery. From inspiration to installation, our experienced team is committed to client satisfaction. Comprehensive design assistance and robust project management provide expert guidance and ensure the highest quality in each project. Contact us today to discuss your next custom staircase project.